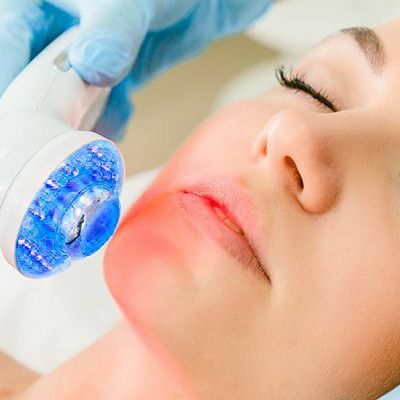 Blue light therapy is a pain-free non-invasive treatment which uses light to treat various skin conditions which are on or just beneath the skin. Blue light therapy can be done either at home or at a dermatologist office. Blue light therapy is used to treat sun damage, acne and prevent skin cancer. It removes precancerous skin lesions and cancerous skin lesions which have not spread to other parts of the body or metastasized. It also reduces sebaceous hyperplasia or enlarged oil glands and improves skin texture. It as well removes scars that were caused by acne. Blue light therapy is usually done as an outpatient procedure except if it has done on a high-risk basis such as treating skin cancer. Each session lasts about fifteen to thirty minutes depending on the severity of the condition being treated and the area. When going for a treatment session it is advisable to go with a makeup-free skin. Goggles to protect the eyes will be provided for the duration that the patient sits or lies under blue light. The procedure is pain-free and there is no discomfort. After the treatment, there may be some redness and inflammation on the treated area but that fades quickly. The results of the treatment become visible between 2-4 weeks but they may show up earlier. Several treatment sessions are needed to get the optimal results. Unlike other photodynamic treatments, you do not need to avoid the sun after the blue light therapy. When used on its own blue light therapy is usually safe and does not have any long term side effects. Blue light therapy cannot be done on people who have porphyria which is a rare skin disorder that causes the sensitivity to light to increase. People with allergies to porphyrins or have lupus should also avoid the therapy. Skin infection happens to be the biggest risk in the case of post-treatment blisters which may occur and left untreated. Other side effects include; swelling, dry skin and redness on the treated area. The side effects tend to be more severe if blue light therapy is combined with other drugs. Self-administered blue light products are available for home treatments. These devices are mainly used for the treatment of acne. They are cost-effective, convenient, easy safe and less aggressive than office treatments. Before going for blue light therapy make sure that your skin is clean. You Don't want to Miss Our Offer on LED Light Therapy . Fill in The Form To Avail Our Special Offer For You!